Roller Conveyors are ideal for goods transfer in many different scenarios, including workbench interlinking and factories where goods often need to be lifted and handled. 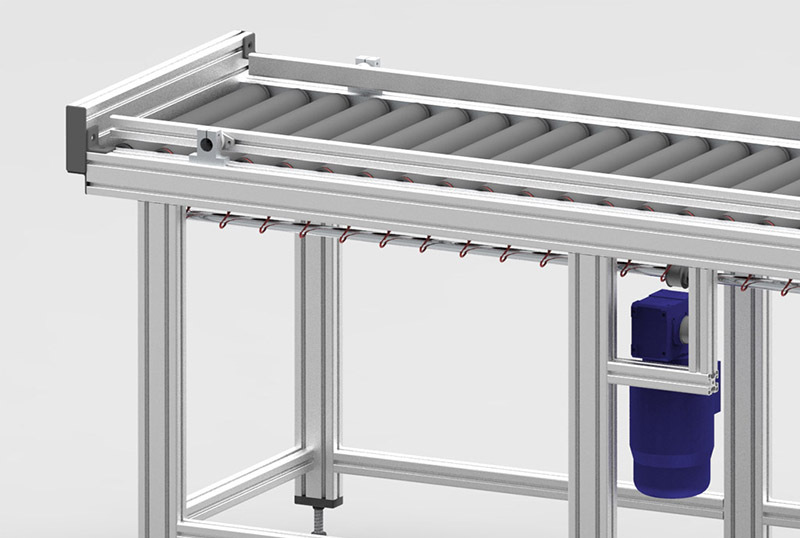 The conveyor can be automated, if desired, using either O-rings or chain. The size of the conveyor will depend on its intended use. 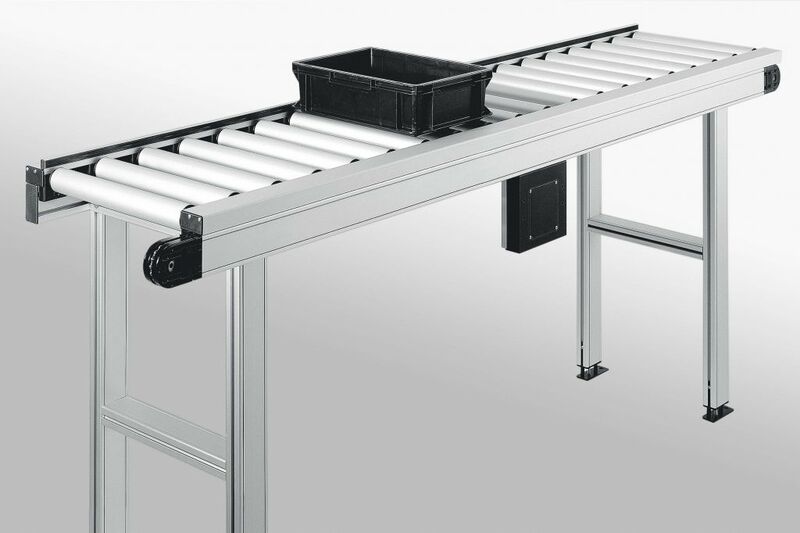 The t-slot aluminium structure that frames the conveyor can be designed to fit the required space and height. The maximum length of the Roller Conveyor is 6 metres. 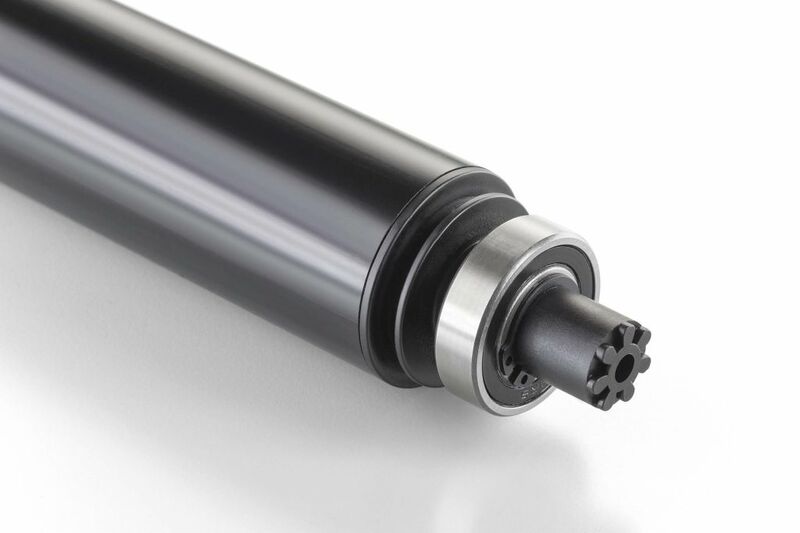 The width can be up to 800mm, when employing the 50mm aluminium tube. 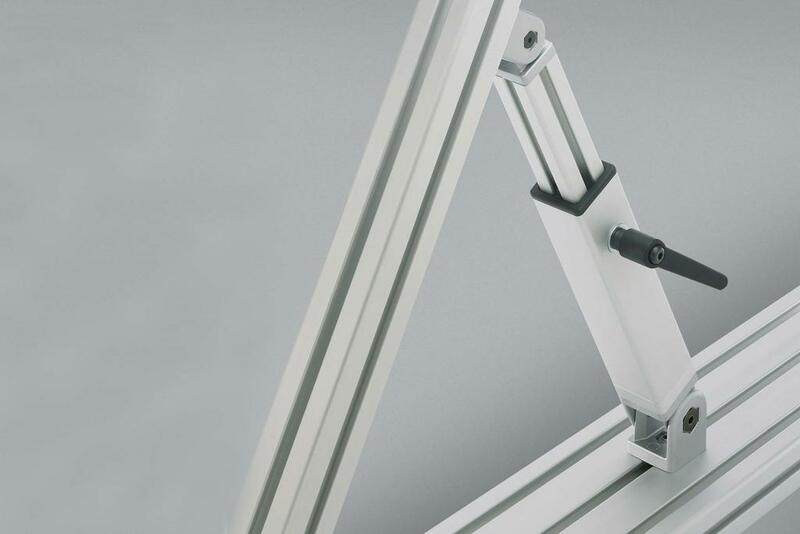 Differing height options can be integrated into the frame design using either telescopic profiles or a hydraulic lifting system. Two tube dimensions are available, the TR32 with a 32mm tube and the TR50 with a 50mm tube, with the TR50 being ideal for heavy loads. A choice of PVC or Aluminium tubes are available in both dimensions. The pre-drilled Groove Profile that sits inside the frame provides an easy means of ensuring consistent axle spacing at 40mm or 60mm intervals. 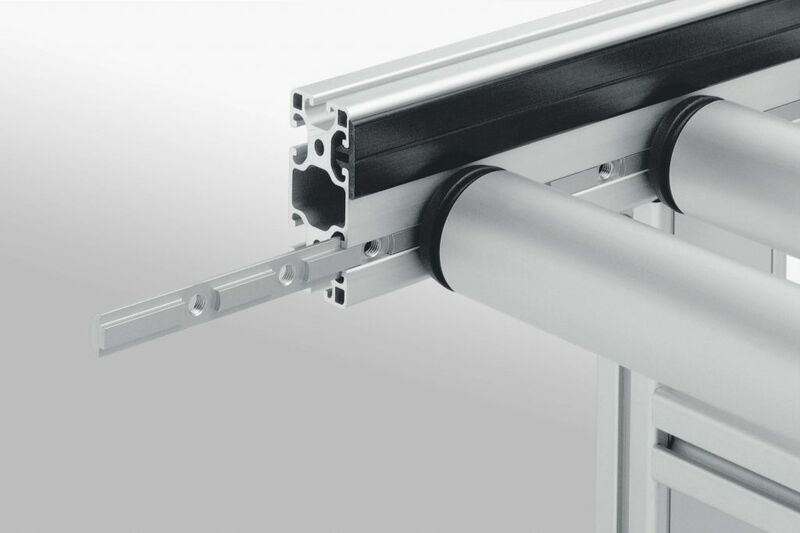 Wear-resistant, black Slide Strips can be added to the conveyor frame to protect surfaces and prevent static build up. Construction is straightforward and involves pushing the bearing set into each roller and then screw fitting them into the groove profile. 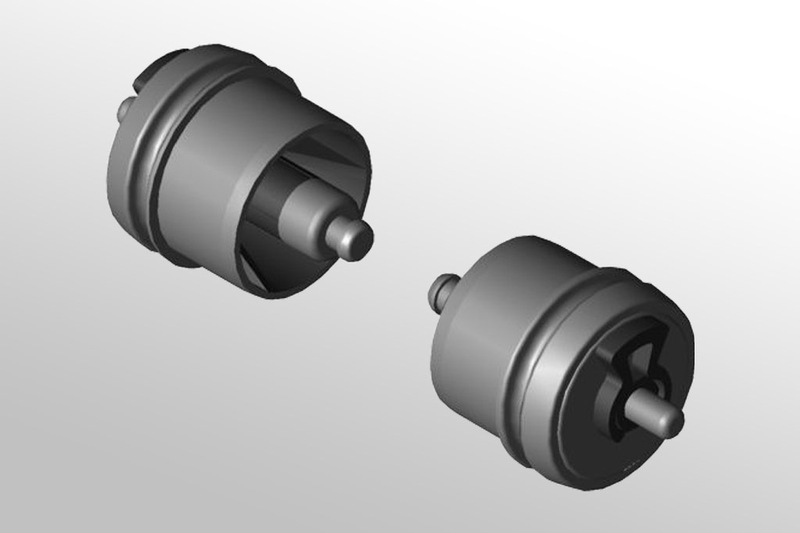 Spring-loaded threaded axle pins make the process easier. The rollers are retrofitted into existing structures. 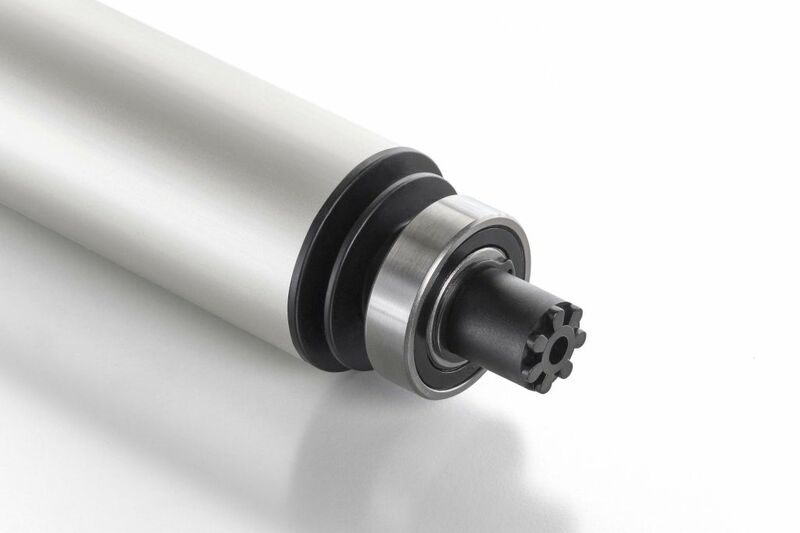 This enables quick installation as well as quick changeover of rollers, if required. The axial position of the roller is maintained by two centring clips. Call us or email a simple sketch of what you would like so we can provide a quote and answer any of your questions. If you’re not sure what you need, contact us to discuss your requirements. A computer-generated drawing of your conveyor can be provided before manufacture to take the guess-work out of such an important purchase. Depending on the conveyor size, it may be possible to ship the complete unit to you. In many cases, the conveyor can be delivered as a flat pack ready to assemble in order to save costs.